I figure doing a list about Ozzy would be a nice way to follow up a list about Black Sabbath. Later on I think I'll put my feet to the fire and do lists for Motorhead and Alice Cooper, but right now I'll focus on the Ozzman. I kind of put Ozzy in the same category as Stephen King in that no matter what I'll be waiting to see what's next on the horizon and more than likely I'll enjoy it to some degree. 11. Under Cover (2005) - Cover albums don't really generate a lot of attention or respect from me. I think I only have three in my possession. They are mostly worth looking at just to see what kind of songs the musicians like. Well, Ozzy and I have a lot of things in common. We both think Leslie West is an amazing guitar player and that Mountain was a great band. Having Leslie West guest on the cover of Mountain's "Mississippi Queen" really made my day. I just kind of wish Ozzy could have chosen something a bit more obscure than "Mississippi Queen." Mountain has a lot of good songs that most people have never heard of and the only one Ozzy chose is one most people already know. A wasted opportunity, if you ask me. Anyway, nine of the covers on here had already been released a year earlier on the Prince of Darkness box set. So not only is it a cover album, but it's also an unoriginal cover album. And the covers aren't really standout. I like a few of them, but none of them are all that great. It's just Ozzy for the sake of Ozzy. 10. Down to Earth (2001) - This one took a little bit to grow on me. It's not quite an industrial metal release, but it's close enough that you could see him going that route in the future. This album feels dominated by the presence of producer Tim Palmer who also co-wrote most of the album. Well, I guess Tim Palmer wanted this to be Disturbed's The Sickness as sung by Ozzy. That's pretty much what it is. My favorite songs off here would have to be Running Out of Time, Facing Hell, and Black Illusion. And maybe Dreamer even though it's far from my favorite Ozzy ballad. I can't say I'd really recommend this one to anybody, though. It's just not all that good. 9. Ozzmosis (1995) - It was a bit of a coin-toss as to where I was going to put this one. There are only five heavy songs on here if you count one of the bonus tracks. The rest of the songs are ballads. 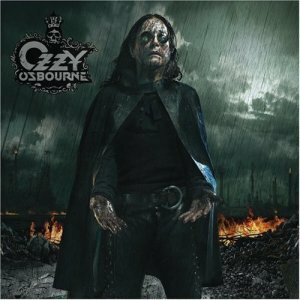 This is a really soft and personal album for Ozzy and that makes it different from just about anything else in his catalog. Zakk Wylde does his best to shine and Geezer Butler (who had joined Ozzy's band after a falling out with Iommi) helps to make things heavy where he can, but again this album is dominated by soft songs. All of the soft songs are not bad, but I only really like about half of them. The main reason I rank this one low is because it's just too inconsistent from start to finish. It goes from being heavy to being too soft for too long and then back to heavy again. The standout tracks for me would have to be Perry Mason, I Just Want You, Tomorrow, See You on the Other Side, and Old L.A. Tonight. 8. Black Rain (2007) - Zakk Wylde's last studio album with Ozzy is his best since No More Tears. It's even heavier than Down to Earth, but it contains stronger and more diverse material. The reason this was Zakk Wylde's last outing with Ozzy was because Ozzy's band was starting to sound too similar to Zakk's band, Black Label Society. I can see what Ozzy meant after I listened to it again and the most obvious example is the title track. It sounds just like a Black Label song. NOTE: Below is the version I got and it did not contain any bonus tracks, a booklet, or anything else. It was just a sleeve and a CD. 7. Scream (2010) - I guess you could consider this a semi-sequel to Black Rain. It's got the same feel and the same producer, but this time the album is even heavier and a more "technical" sound thanks to the addition of guitarist Gus G. Now when I first heard this album was coming out I was a little disappointed that Zakk Wylde wasn't going to be on it, but I was even more disappointed that the album was going to be called Soul Sucka. Yep, you read that right. Soul Sucka. Well, I thought, Ozzy had lost whatever was left of his mind. There was no way in hell I was going to buy the album if it was called that. Just wouldn't be able to do it. And I thought about what the contents of such an album might be. I pictured a Nu-Metal Hell and duets with Snoop Dogg. Of course that isn't what I ended up getting at all. I ended up getting what I would call Ozzy's strongest release since No More Tears. Of course if the album had still been called Soul Sucka at the time of its release I might not have the courage to say that. But I could I could see why Ozzy might want to call it that. The song Soul Sucker is very strong if you can keep from smirking every time you hear the phrase "Soul Sucka" repeated by the background vocals. Other songs that really stand out to me are Let Me Hear You Scream (sort of a sequel to I Don't Wanna Stop), Life Won't Wait, Time, Let It Die (although this one did seem a bit silly at first), and Diggin' Me Down. Now let me just say that Diggin' Me Down has to be one of the absolute worst titles for a song I've ever heard in my life outside of the hip-hop and pop genres. It just screams, "I wish I had dreadlocks, ripped jeans, and a Slipknot wallet with a chain on it!" The title is absolutely awful. But the song itself is one of the heaviest and darkest songs Ozzy has done in quite some time. It is the ultimate "mosh pit" song. 6. 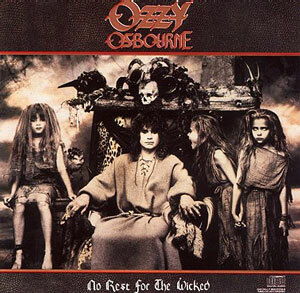 No Rest for the Wicked (1988) - This is the first Ozzy album I've gotten to on my list that feels like an actual band made it instead of a bunch of hired hands. It's a solid effort even though there aren't any instant classics on here. Bloodbath in Paradise and Breakin' All the Rules are probably my favorite tracks. 5. 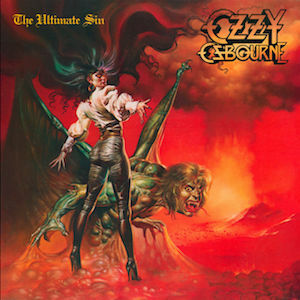 The Ultimate Sin (1986) - This release (along with Ozzy's Live & Loud, Speak of the Devil, and Just Say Ozzy) has been deleted from the Ozzman's catalog. Why has it been deleted? I don't know. Maybe it has to do with owing Phil Soussan unpaid royalties over the song Shot in the Dark (a song that appears on Just Say Ozzy and Live & Loud) or maybe it doesn't. I don't really care. I just know that all of the squabbling made it really hard for me to get this one in my collection. This was before I discovered Amazon. Instead I had to go to obscure stores and ask around because Wal-Mart sure didn't carry it. Or so I thought. Ironically, the version I found was a German import and I bought it from Wal-Mart. Of course it must have been a fluke because I haven't seen it there since. Anyway, I do feel that The Ultimate Sin is extremely overlooked. The production isn't all that great and there are more than a few corny 80's lyrics, but I think overall it's very solid and it doesn't deserve to be lumped in with the likes of Speak of the Devil as a forgotten Ozzy record. If any Ozzy release deserves to be remastered it's this one. NOTE: The Ozzman Cometh is a greatest hits collection and the version I have has Shot in the Dark on it, but I believe the collection has been re-released and Shot in the Dark has been replaced with Miracle Man from No Rest for the Wicked. 4. Bark at the Moon (1983) - The 1995 remaster and the 2002 "remaster" of Bark at the Moon are two different things. I remember when I was listening to some of the tapes my dad had recorded in the eighties and I heard You're No Different for the first time. I loved it. Then I got Bark at the Moon on CD and the exact same song was different. Similar, but still different. And it wasn't just that one song. I realized I'd been stiffed with the 2002 release and it was very different than the original 1983 release and the 1995 remaster. The 2002 "remaster" sounds more modern, but it just doesn't have the same charm for me. NOTE: The 2002 "remaster" also claims that Ozzy Osbourne wrote all of the songs by himself. I'm not sure if the 1995 remaster makes the same claim, but the 1997 version of The Ozzman Cometh that I have also makes the same claim. Now I ask how a man who can't play a single instrument could possibly do that? 3. 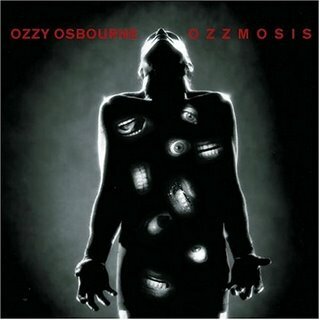 No More Tears (1991) - Ozzy's last truly great release and the only one since that feels like a band actually made the album. NOTE: The Live & Loud double album that soon followed is also pretty great, too. You could probably make a drinking game out of it, too. Just take a shot every time Ozzy drops the "f" bomb and you'll be hammered after three or four songs. ANOTHER NOTE: There are two versions of Hellraiser. There's this one by Ozzy and another one by Motorhead that can be found on their album March or Die. The Motorhead version of the song was used in the movie Hellraiser III: Hell on Earth. Since Lemmy co-wrote the song with Ozzy than neither version can really be called a cover, but the Ozzy version did come first. 2. 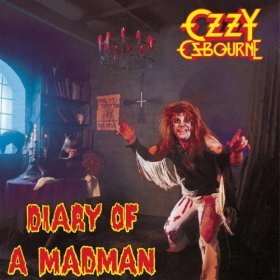 Diary of a Madman (1981) - There was no doubt that the Rhoads releases were going to top the list, but I wasn't sure which one would come out on top until just recently. There are very evenly matched as far as I'm concerned, but I think Blizzard of Ozz is just a tad better. 1. 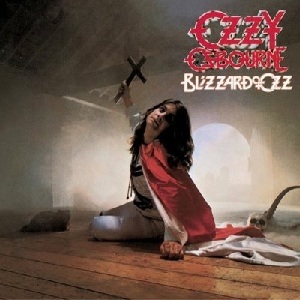 Blizzard of Ozz (1980) - This got me into Ozzy and through Ozzy I discovered Sabbath and a love of the guitar. I always enjoy listening to this one. I'm pretty much in line with you on this list. I didn't realized that Ozzy had deleted Shot In the Dark and Ultimate Sin from his catalog. What is it with Ozzy and these writing credits? The 2002 Diary was horrible too. I bought that with the impression I was buying a newly remastered version (I'm a sucker for those) and I got a rerecorded piece of crap. Unfortunately, my Bark at The Moon copy is the 2002 version. I was hoping since they re-released the first 2 he would take care of Bark At the Moon next. What is really weird about all of these disputes he has is that he ends up using the same guys he is having disputes with on other albums later on. Strange. He has had legal battles with Tony too that seem odd. I'm sure it's Sharon but Ozzy should stop it. I was checking my Ozzy cds last night and I was mistaken about the 2002 Bark At The Moon cd. It is not a rerecorded piece of crap, it is a remixed piece of crap. Most of the early cds that were made in the 80's don't sound real good mainly because companies were trying to put older catalogs out as fast as they could to cash in on the new format. They didn't pay as much attention to the sound as they should have. So I love when remastered versions of those older cds come out because they usually sound much better. But remixing is another story altogether. If an artist thinks the original mix was sub par and wants to improve it, I don't have a problem with it as long as they include both versions like Deep Purple did with Machine Head. Don't delete the original classic mix from your catalog! Pete Townsend has a bad habit of this too. I don't have the 1995 Bark At The Moon for a side by side comparison but the clips you posted point out the differences pretty well. As far as Ozzy and the songwriting credits, this is one of the strangest things I've ever seen anyone do. There are plenty of examples of artists leaving people off of songwriting credits at first (example - Led Zeppelin leaving off Willie Dixon on Whole Lotta Love. Mick and Keith have numerous violations) but I've never heard of anyone removing people from the credits years later. 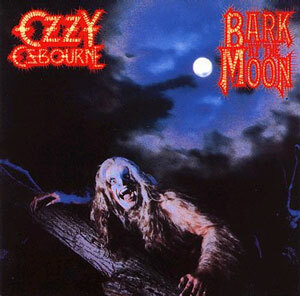 One more strange thing about Bark At The Moon is that Ozzy removed Daisley from the first two albums and rerecorded his parts for the 2002 releases but Daisley is on 2002 Bark At The Moon album. Why wasn't he removed from that one too? Only Sharon knows. Yeah, the whole Ozzy saga could give somebody a headache. In my copy of the Ozzman Cometh Phil Soussan is credited with writing A Shot in the Dark, but his name is misspelled "Bill Susan." And Bob Daisley is misspelled "Bob Daisy." Pretty childish, huh? I never noticed that before. I must have the same version of Ozzman as you because I just checked and mine has the same spellings. Yes, that is childish.